Please visit our online schedule for currently scheduled classes; not all classes are offered at all times. All classes are open to all levels of yogis and will offer modifications for making postures easier or more challenging. We encourage you to speak with your instructor and ask questions before or after class. Most importantly, you must listen to the teacher within yourself and listen to your body. Align and Flow – In this class great attention will be paid to alignment of each asana (posture) practiced. We will spend time cuing the appropriate alignment in postures to build a strong foundation to practice upon and to build strength and balance. After alignment is in check we will flow through our asanas, combining our movements with our breath and allowing the mind to quiet. Baby and Me Yoga – Celebrate the everyday blessings of parenthood with baby and me yoga! We will use the healing power of touch to introduce gentle activities and approaches to aid in child development. Learn techniques to release tension and boost energy. Enjoy bonding with your baby through interactive asana that also assists with the postpartum transition. Whether you are an experienced yoga practitioner or a complete beginner, come connect with your baby and other caregivers while having fun in a safe and playful environment! Babies are welcome to snooze, play, or join in on the fun! Ideal for babies 6 weeks to strong walkers. Jai Ma! Flow and Restore – This class begins with an all levels Align and Flow style movement to bring warmth, breath and awareness to the body then transitions to a deep and soothing Yin centered practice where postures are held in a passive and longer fashion. The extended period of time spent in each Yin posture gives the muscles, connective tissues, joints, ligaments time to relax and elongate reaching a new level of circulation, flexibility and openness. Foundations of Yoga – Breath is foundational to Yoga. Skillful inhalations and exhalations lend vitality and lightness to every pose, while incorrect breathing turns the easiest of movements into a drag. This class de-mystifies yogic breathing, so that you can use it to support your asana practice and daily life. It also walks you through a basic Vinyasa-style sequence, with focus on safe alignment and mutually enhancing relationship between alignment, breath, and movement. Gentle Vinyasa – Bring a mindful approach to your asana practice. In this class you will be guided slowly through various postures to establish the union of mind, body, and soul. Connect your breath and movement as you flow through your practice with a more gentle approach. Gentle Yoga – Practice with ease! In this class you will be guided through asanas (poses) with a focus on tuning in to your mind-body connection. We will explore different styles of pranayama (breath work) and take the time to connect with our inner selves to create a practice that serves us to the greatest benefit. This is a great class for beginners, seniors, and seasoned yogis alike! Heated Yoga – Blends a variety of yoga asanas (postures) in to a sequence focusing on strength and alignment. We practice in a moderately heated room so as to evoke “tapas”, or internal heat. The word tapas comes from the root Sanskrit verb, Tap, which means “to burn” and evoke a sense of “fiery discipline” or “passion”. In this hour of heated asana we will explore ways in which we can devote ourselves more authentically to our practice, while we eliminate impurities of the body and mind. 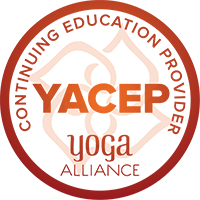 This class is appropriate for ALL levels of yogis and yoginis. Students are encouraged to bring their own towel and pay extra attention to staying well hydrated. Hips and Shoulders – Come learn to release some of your chronic neck, shoulder, and hip pain! You will be guided through an informative and stress relieving align and flow practice with special focus on these problem areas! Kids Yoga is designed for elementary school-aged yogis. Our kids classes combine yoga poses, games, mindfulness activities, music, and breathwork to to build self-esteem, counteract the pressures and stresses of kids’ busy lives, build flexibility, strength, balance, and coordination, and teach kids about self-care, compassion, cooperation, and listening skills. Kundalini Yoga, as taught by Yogi Bhajan, is said to create a more direct path to one’s higher consciousness. Each class includes a set of postures (kriya) that is specifically prescribed for a desired physical or spiritual outcome. Classes also incorporate hand postures (mudras), chanting and meditation to strengthen one’s experience. Meditative Flow – This class interweaves physical experience and reflection. Learn to pause and notice our bodies’ cues. When we integrate the feedback our experiences provide, life opens up: deeper connection, more purposeful living, contentment. In essence, we learn to operate more in the present moment. Power & Strength – A yoga class geared to those who like to work. Don’t worry if you can’t touch your toes! Strong, energetic,and challenging, we combine the best core-strengthening, muscle-toning, cardio-working, stress-reducing, clarity-enhancing yoga postures with functional fitness exercises and longer holds for an amazing workout. You’ll get that pumped-up feeling you get from working out and a deep flexibility and relaxation feeling from “working in.” If you’ve already been to a class, we’ll see you again soon. If not, you’ll thank yourself for making the effort to show up. Good music, cool vibe, all are welcome. Power Vinyasa – Join us for this heat-building flow that links breath and movement in a practice designed for strength and balance. Qi Gong Meditation – In this movement meditation class, experience deep relaxation, mental clarity, centering, and feelings of groundedness. Qigong within the SunDo tradition combines simple slow movements, postures, breathing, and meditation. The emphasis is not on doing it right but on trusting your intuition and cultivating the ability to feel your qi or life energy from within. All levels welcome. Recovery Yoga – Recovery yoga goes to work on the “issues in the tissues”. The body remembers everything that has ever occurred, from the beginning of time. This cellular “knowing” or “holding on”, these “stories”, can cause physical pain, emotional issues (depression, anxiety, even chemical imbalance), insomnia, illness, disease, and overall imbalance. We have all experienced trauma, be it considered deep or superficial, small or huge…we are all living with and recovering from trauma. Using yogic principles, asana, pranayama, meditation techniques, and a background in addiction and codependency recovery, you will be lead through a slow flow yoga class that gets down to the roots of our humanness. Take advantage of this gentle group healing. No yoga experience necessary. Restorative Yoga – Find your bliss as we move into detoxifying restorative yoga postures. Breath by breath we will cultivate the union of mind, body, and soul. In this class, we access deep healing by finding stillness in our practice, body, and mind. Restore to Nidra – Restore to Nidra combines a Restorative Yoga practice and Yoga Nidra into one class. Students will be guided through a Restorative Yoga sequence full of long, slow and supportive holds. While in each pose students will be guided through the different levels of Yoga Nidra which is intended to induce full-body relaxation and a deep meditative state of consciousness. 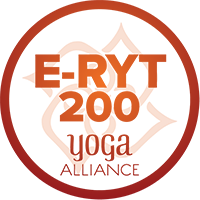 Revitalize and Restore – This class consists of fun and dynamic yoga sequences linked with breath to stretch and increase the flow of prana, the energetic life force in the body. This align and flow style practice will be followed by a deeply relaxing sequence of asanas (poses) that support the body with the assistance of props to restore optimum mind/body balance in every way. It is appropriate for all practitioners. You will leave this class feeling revitalized and restored with a deeper sense of breath and self awareness. Rise and Shine Restorative Yoga – Show yourself some morning love, with an emphasis on easing into long juicy stretches. Just the nurturing your body needs to take on the day! No fast moves here, as we settle into every nook and cranny to get your kinks out and set your mood for a great day! Everyone can get out of bed for this kind of yoga! Tantric Hatha Yoga and Chanting – Tantra means “to weave together” – it is the school of yoga that embraces both the mundane and the spiritual. This class, rooted in Classical Tantric practice, will begin with sun salutations accompanied by chanting to warm up the body. A series of postures with long holds will follow, working toward a peak pose, all focused on a particular chakra. Expect chanting and flow followed by space, stillness, silence, and an opportunity to connect deeply with your body. Teen/Tween Yoga – This class is designed for teens and tweens to practice yoga in a safe and impactful way. We will explore various principles of yoga, teach correct body alignment in asanas (poses) and introduce healthy strategies for coping with stress and anxiety. Yoga is a great practice for the body, mind, and spirit. Vinyasa – This upbeat and breath-centered class is designed for all levels. Our flowing, vinyasa-style class will connect movement and breath, building up heat in the body. Classes will be designed to be rejuvenating and energizing, leaving you feeling ready to face your day and the world with your best foot forward. Womens Gentle Flow – Pre/Postnatal-Friendly: Practice with ease! In this class for women, you will be guided through asanas (poses) with a focus on tuning in to your mind-body connection. We will explore different styles of pranayama (breath work) and take the time to connect with our inner selves to create a practice that serves us to the greatest benefit. This is a great class for beginners, seniors, pre/post natal mamas, and seasoned yogis alike! Yin Yoga with Reiki – Reiki is a healing technique that activates the natural healing processes of the receiver’s body and restore physical and emotional well-being. Yin yoga is a slow-paced style of yoga with postures, or asanas, that are held for longer periods of time using props that focus on joints, ligaments, tendons and fascia. You will receive reiki healing while in the postures along with a hands on adjustment at the end along with essential oils. Yoga and Writing – Relax, refresh, and re-energize your writing with your yoga practice! Explore your ideas and find the confidence within yourself to express your creativity. If you are new, or a seasoned journal keeper and/or writer, this is a great opportunity to explore your creative side through yoga. Join the instructor and other yogis traveling through the asanas while writing along the journey. Bring your journal, or begin a new one! The practice will conclude with a cleansing sage circle and a volunteer sharing of your writing. Yoga Nidra – This class will bring an incredible calmness, quietness, and clarity to your mind and body. Yoga Nidra is one of the deepest of all meditations, leading awareness through the many levels of mental process to a state of supreme stillness and insight. During the Nidra practice you leave the Waking state, go past the Dreaming state, and go to Deep Sleep, yet remain awake. One hour of Yoga Nidra is said to be equal to four hours of actual sleep.